I’ll forgo the usual format since I’m not pairing a wine with food this time. For those that have asked me what my favorite wine is I usually give an annoying response telling you it depends on a lot of things like what I’m eating (if anything), the season, the weather, what socks I’m wearing (if any), etc. It’s very much like asking me what my favorite song is. Do you mean right now? Of all time? I have no idea what my favorite song of all time is; I just can’t commit to a decision like that. Right this second it’s anything remotely resembling a Radiohead song, but I think that’s only because of this brooding state I am in. I can’t even tell you what I’m brooding on, but I do know how I got here. And that brings me back to the wine. It is a particularly rainy day here in Minneapolis with a bit of thunder on the side. 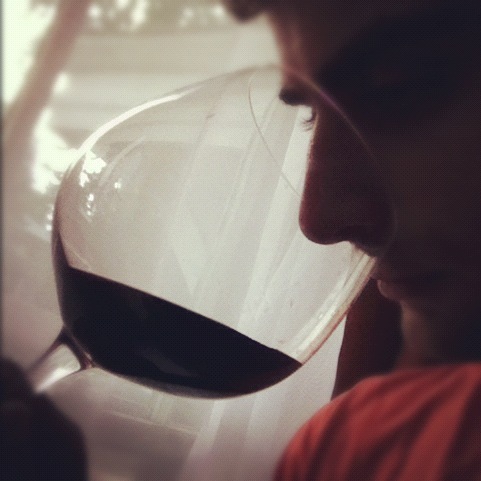 In preparation for a wine presentation, I needed to have a picture of good wine smelling form. I generally try to stay away from stealing too much from the internet so I just took one of myself. 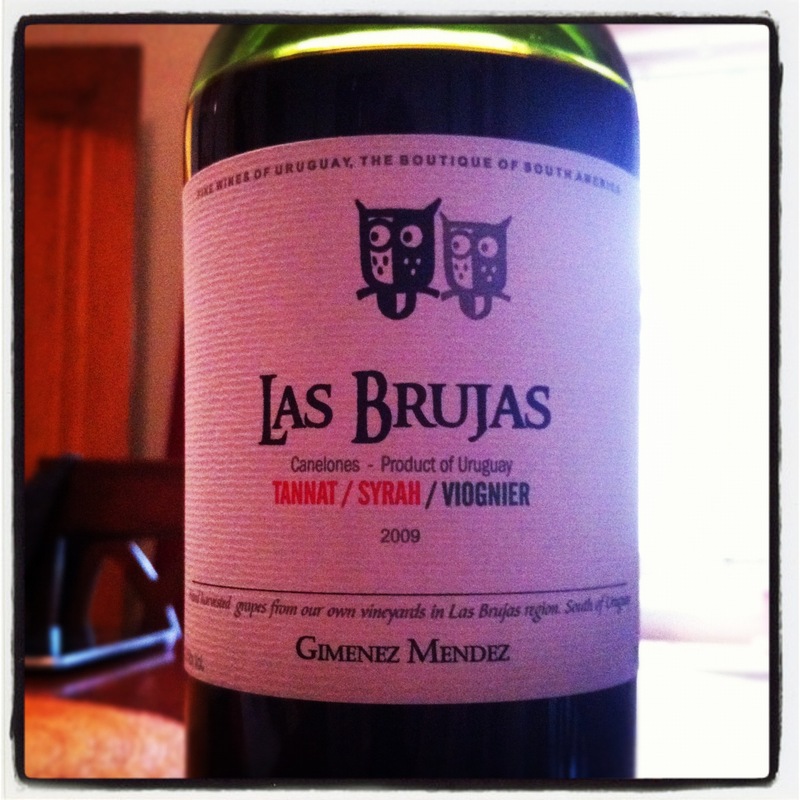 As my prop, I opened up a bottle of Tannat/Syrah/Viognier blend from Uruguay that I have been wanting to try. Tannat is one of those special grapes that France has been trying to distance itself from for some time because of its tendency to punch you in the face then push you into the darkest cave where you are shown all of your fears at once. Naturally, some other country sensed an opportunity to transform the beast just like the end of a Disney movie. That country was Uruguay, but instead of transfmogrifying it into a reformed prince, they just made it more of a beast. As far a deep red wines go, this one takes you to the abyss. No sooner had I had a sip of pure cedar, graphite, and cinnamon, with maybe a hint of some dark-as-midnight fruits in there, did I settle into some good brooding. It wasn’t even about anything. I had nothing to be pensive about. I would say Nebbiolo, the Italian champion of good brooding wines takes you to the edge of healthy emotions on a cold winter’s day and a glass full. Tannat, in a few sips, hangs you over the edge of that cliff on a mildly rainy day and then laughs about it. Now for those that prefer to keep it light and cheery, you may be reading this thinking that you want to stay the hell away from anything that looks like Tannat. However, let me offer the counterpoint to your mindset. People tend to unconsciously show their emotions through what they wear, their body language, the foods they are eating, and a whole host of other expressions. It allows us to mull about in the emotion for a bit while it runs its course or while we are focused on a certain thought. Wine’s place is to provide enhancement to a certain experience which generally revolves around food. Given the intricate link between aroma and memory in our brains though, a few sniffs of a wine can bring a flood of memories, including emotions to the forefront. So a bright, cheery wine while you’re particularly moody, may come across as somewhat of an annoyance. On the flip side, some Tannat may seem aggravating if you’re in a bright and cheery mood. But, if it’s a rainy day and you’d like to ruminate on something, you’d best take a pour and take a trip down the rabbit hole.